An exciting and cheerful stage unfolded at CJ Azit Daehakro last June 13 and 14. 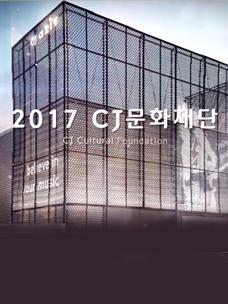 It's a musical about the story of storytellers living in Joseon period, made by writer Jeong Eun-young and composer Park Yun-sol in collaboration with the professional mentoring program and direction of CJ Culture Foundation Creative Minds. For those who didn't participate in the reading performance, we will deliver the atmosphere of the stage of "Fan," the musical of CJ Culture Foundation Creative Minds. The interior of CJ Azit Daehakro was adorned with posters of the musical "Fan". The passage of "tonight, a guest knocking on the door of the lady's room" created a mysterious atmosphere, giving us high expectations for the story of the storyteller seen behind the fan. Powerful energy encompassing all the factors of the entire story was felt from the letters of "Fan" in the middle of the stage, making us wait for an exciting story with the feeling of keen anticipation. Before the curtain had even gone up, we opened the program book of musical "Fan" to guess how the story would unfold. Set in the Joseon Dynasty Period in the late 19th century, the story started with the appearance of storyteller Dalsu covering his face with a head dress, and his musician brothers Ilsuk and Izo. In the story room, Dalsu opened up a fan and started a story to the musicians' tune. As the interesting musical progressed, we could know how Dalsu, of noble birth, became a famous storyteller. Performers passionately sang the exciting and cheerful first number called "Storyteller," captivating the ears and eyes of the audience. As folk tales spread among the general public to satirize the poverty-stricken society, an order came down to burn those books around book rental stores. Dalsu likes to walk the streets, going against his father's expectation that he would study hard to pass the civil service exam. One day, he falls in love with a woman named Lee Deok-ha on whom he stumbles in front of a book rental store. To win the favor of the woman who likes "stories," Dalsu introduced himself as a "storyteller." He meets Hotae, a real storyteller with an attractive voce, in front of a story room which he reaches following her. Dalsu grows interested in Hotae because he's never seen storytellers who more strongly win his heart. He asks Hotae to tell a story for him. After that, Dalso becomes fascinated by forbidden stories. One day, Dalsu, when following Hotae, launches into a number titled "Technology of Recitation", which received a storm of applause from the audience with a familiar melody, fun lyrics and dance moves. Dalsu starts to live a double life as the son of a nobleman by day and storyteller by night. He was brought up in a rich family with little interest in the world and comes to know about the joys and sorrows of ordinary people while reading stories. Dalsu's growth story as a real storyteller and the mysterious and entertaining atmosphere of a story room reveal the fresh talents of young creators. Dalsu develops his storytelling abilities and one day tells a special story to woo Lee Deok. He gives hope of flying high freely to Lee Deok, who stands precariously on a line. The song lyrics "a new world will unfold in front of her as if flying in the sky" give her courage. The number titled "When I stand on a line," sung by Dalsu and Lee Deok, is completed by a beautiful harmony. Even if it was a reading performance, the audience was deeply immersed in the song mixed well with the moves of the performers. "Fan" is a musical where the power of seven performers is particularly strongly felt, gripping the audience from start to finish. The perfect combination of two actors Kim Yeong-cheol as Dalsu and Kim Ji-hun as Hotae was a lot of fun for the audience, who felt as if they were in a story room of the Joseon Dynasty Period in the late 19th century. Featuring Lee Bong-reon, Kim Cheon-jin, Park Ran-ju, Lim So-ra and Shin Jae-bu, the musical portrays a mix of thrilling tension and sweet romance. 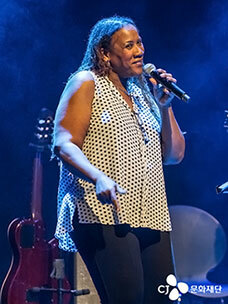 The audience could fully feel deep passion from performers for a running time of an hour and a half. The systematic composition and witty lines of writer Jeong Eun-young immersed the audience in the charms of the story. Dalsu started living a double life after getting the technology of recitation from the storyteller Hotae, which gave the narrative a particularly dramatic fun. Despite a reading performance, we could feel the power of performers overwhelming the stage. The musical was filled with the freshness of creative performance. The story of Dalsu and Hotae made the musical "Fan" so special! It was time for us to laugh and shed tears together with hope towards the world. Can you feel the touching moments? The "storyteller" adorning the finale of the musical was in fact the title number. All performers sang with splendid moves and great harmony, enhancing expectancy about the upcoming performance. 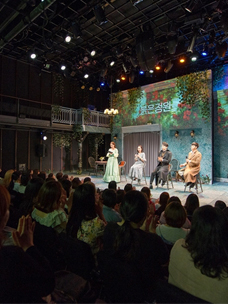 The Reading performance of the musical "Fan" brought the curtain down with cheers from a lot of audience. How do you feel? Fresh story and cheerful numbers raised the charm of the musical. 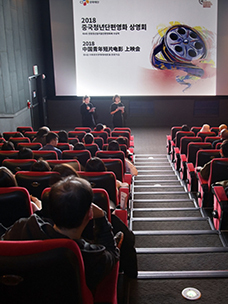 The musical features a new point of view and leaves a lasting impression. Here’s looking forward to the days when the musical will meet the audience.